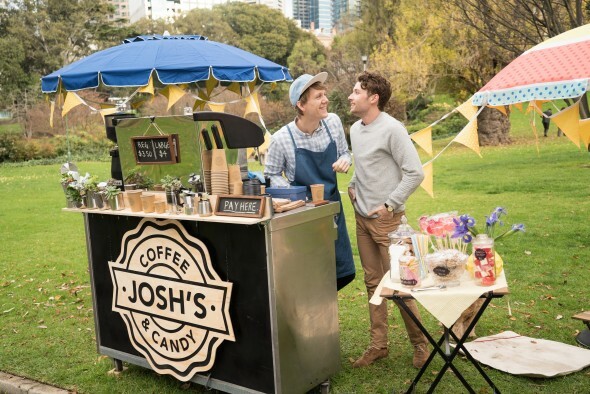 What’s next for Please Like Me? Recently, creator and star Josh Thomas spoke with The Hollywood Reporter about the future of the Hulu TV series. The comedy follows the lives of a young, gay Australian, his friends, and his family. The cast also includes Debra Lawrance, David Roberts, Thomas John Ward, and Wade Briggs. Season four of the series was just released on Hulu in the U.S.
What do you think? Do you watch Please Like Me? Do you want a fifth season? I absolutely love this show, the character development, the humor and how real and raw it is. PLEASE RENEW FOR A FIFTH SEASON!!!! Please renew for a fifth season. I adore this show and have become quite invested in all the characters and their lives. I am terribly sad that it is ending! Josh has so much more of a story we all want to continue watching pan out. Was really looking forward to season 5. This show has somehow become one of my favorite shows of all time. The writing, the story, the characters​ the quirks, have been great. I have looked forward to all episodes. I hate the idea of it ending. I am not a big media hound, so good shows make a big impression. Yes. Please have the fifth climb and don’t let us wait too long. I like this show very much and would love more season! It’s one of the funniest shows on Hulu. Would love a season 5. There is no show out there like Please Like Me. If season 4 is the last one at least it got a type of ‘ending’…but ofcourse left many questions! Would absolutely love to see a season 5 of Please Like Me, it’s my favourite programme. So much better than a lot of what’s on just now, it’s intelligent, funny and moving. Loved it. Sweet, funny, sad, insightful. We need more of this show.